GORKHA, Sept 2: Health post buildings in Gorkha district are still awaiting reconstruction 16 months after the massive earthquake struck Nepal. 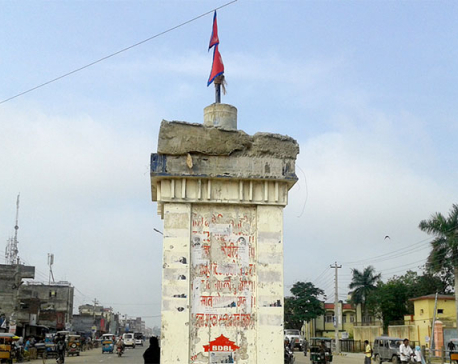 NEPALGUN, Set 2: The pro-monarch cadres clashed with police after the latter removed the bust of late King Birendra Shah from Dhamboji Chowk. MALEKHU, Sept 2: A child died after landslide buried him at Gajuri VDC-5 in Dhading district this morning. KHAJURA (Banke), Sept 2: A man was found dead in mysterious condition in Hotel Poplife in Kohalpur of Banke. RATNANAGAR (Chitwan), Sept 2: The Muglin road has been obstructed since early morning today after a landslide at Kalikhola area of Chitwan. MYAGDI, Sept 2: Eleven houses were swept away by floods in the Khahare river in Beg-6 of Myagdi. KATHMANDU, Sept 1: Be it rain or scorching sun, sixty-one-year-old Nanda Dhakal always looks unfazed. Every day, she sits under the same tree at Basundhara of Kathmandu to sell barbecued corn. KATHMANDU, Sept 2: The Qatar government has announced that it will allow three months beginning from September 1 for undocumented workers to leave the country without facing legal consequences. 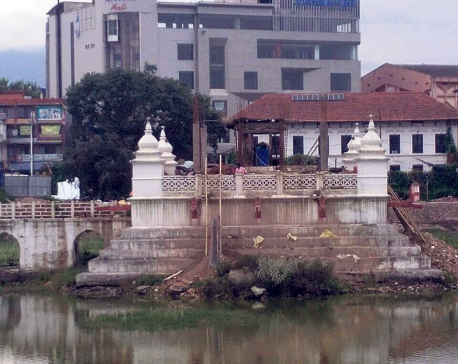 KATHMANDU, Sept 2: The UNESCO Office in Kathmandu on Thursday expressed serious concerns over the inappropriate rebuilding of Balgopaleshwar Temple at the center of Ranipokhari pond. KATHMANDU, Sept 2: Over a dozen people from the Matatirtha and Thankot areas of Kathmandu, who were admitted at Sukraraj Tropical and Infectious Disease Hospital (STIDH), have tested positive for cholera.